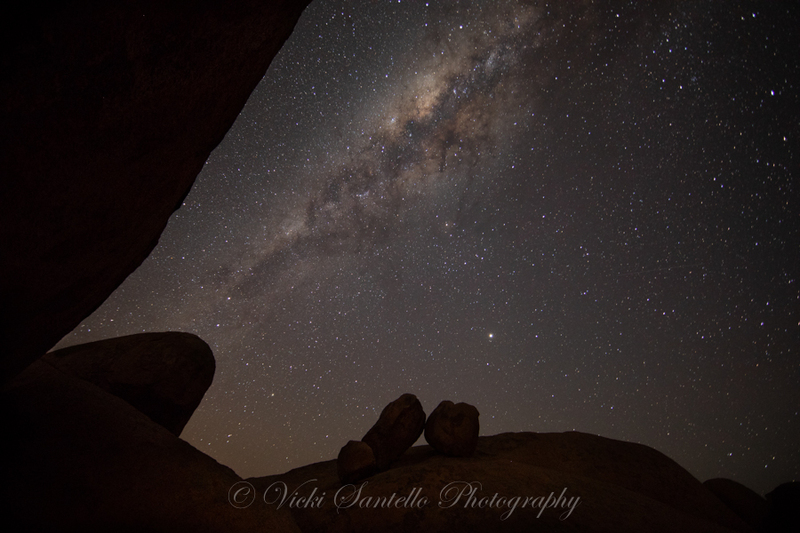 Three boulders perch just beyond the arch at Spitzkoppe, Namibia. They appear small compared to the famous arch that frames the sky yet they are taller than I am. They have told the story of the night sky for millennia.